The transcript is included after the video. 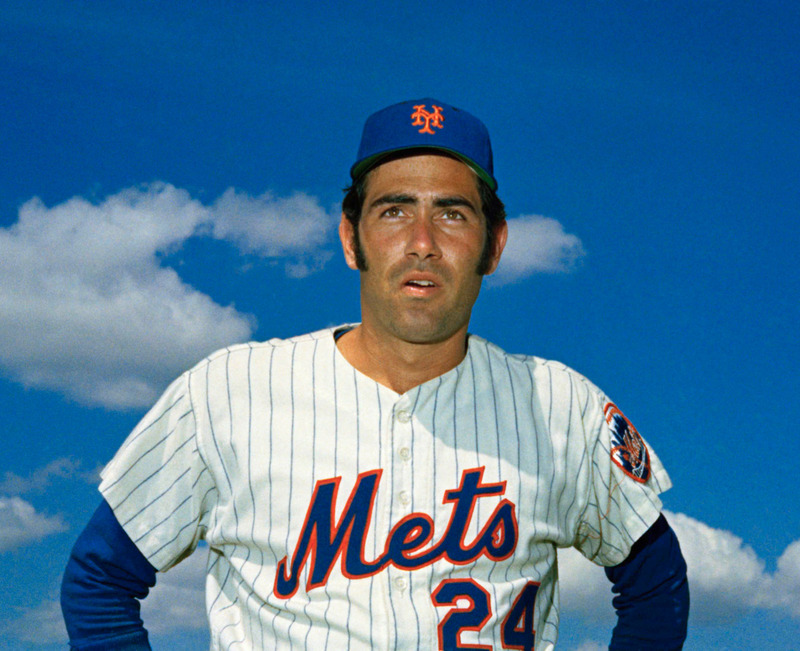 Dan: Hi, I’m Dan Rootenberg, Owner and Co-founder of SPEAR Physical Therapy, and we’re here having a conversation with Art Shamsky of the 1969 Miracle Mets. Art, we’re really happy to have you here. Maybe you could tell us a little bit about what that year was like for you. Art: Well, the only thing you missed in the intro, Dan, was that it was the Miracle World Champion New York Mets. And the year was fantastic. There’s no doubt about it. We’re coming up on a big anniversary very soon. It changed my life when we won the World Series on Oct. 16, 1969. My life really changed and I’m still in New York because of it. I feel like all of us that were part of that team, our names will live on forever. I always tell people it wasn’t the best team to win the World Series, but it certainly was the most memorable. The cast of characters that were together, the fact that the New York Mets for many years even before I came over from the Cincinnati Reds were known as the Lovable Losers. Nobody ever thought we could win a division—that was our first year of division play—and certainly win the pennant and then the World Series against a terrific Baltimore Orioles team. It was an incredible time of my life and people today still talk to me about that team. Also remember that particular year, the New York Jets won Super Bowl III in January, we won the World Series in October and the New York Knicks won the NBA championship in May of 1970. So you have three teams winning World Championships all for the first time in their history. That period of about 15 months in the City which was going through some awful times, with the social unrest and political upheaval and a war in Vietnam that was tearing the country apart, these three teams were brightening the spirits of many New Yorkers. For me to be part of that “trifecta,” as I call it, was very, very special. Dan: So you came up with Cincinnati. And you had a pretty well-known roommate. What would you say it was that made Pete Rose the player that he became? Because when you look at him, he doesn’t look like he would be the best athlete. He doesn’t look like he would be the guy that ends up with the most hits in Major League history. So what was it about him that was so special? Art: When we first played together back in our first year in 1960, he really couldn’t do anything but run hard to first base after a walk. He had trouble in the field, he had trouble hitting, he was just a hustler and really determined. Then the next year they kept him back in Class D to work on his skills and then we were together again in 1962 in Macon, Georgia, and the next year he was in the Big Leagues, Rookie of the Year 1963. He had developed his skills in a period of about two years to really work on things that helped him become a better player. 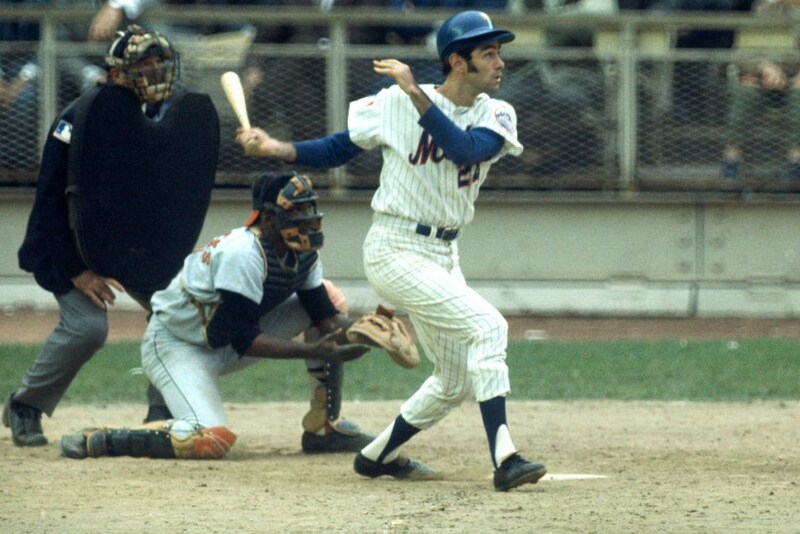 And he was really versatile–he played All Star in four or five different positions in the big leagues. But there really wasn’t a big secret about his success. He worked hard at it and I think it’s very important to understand he stayed relatively healthy all of his career and that was my particular case, as well. You know I’d have these periods when I was out on the disabled list because of a back injury and if you’re not healthy, you’re not playing every day to get in the continuity of the game. He stayed healthy for all those years and was able to put up the numbers and knew that he was going to be playing every day. It was just determination and wanting to be the best that he could be. Dan: Maybe we can talk specifically about the ‘69 Mets team. Were there any injuries that year for you or your teammates that might have occurred that year? Art: I came up in the era of professional baseball where it’s a little different than it is now. The trainers and techniques and equipment and treatment that they would give players is totally different than it is now. I had a couple of operations on my left hand due to baseball…and of course I had a really bad back that I injured in 1969 which cost me the first month of the season on the disabled list. Back then when you hurt your back— I went to various doctors and they told me it would be a year of recovery from an operation. And now they’ve got you walking the next day after an operation. Back then when you hurt your back— I went to various doctors and they told me it would be a year of recovery from an operation. And now they’ve got you walking the next day after an operation. So my life went full circle that year not knowing if I was ever going to play again to being on a team that won the World Series. Dan: How much guidance were you given back in that time with your back injury? How much did they help you? Art: Well it’s interesting, when I hurt myself in Spring Training, when I went in and told the trainer I hurt my back, he said, ‘Do you think you can continue to play?’ And I was one of these guys who was always was going to say yes. You never wanted anybody to know that you were really hurt and you couldn’t play. I continued to play and I injured it more. So I took two aspirin and you know, we’ll see what would happen. But back then there were team physicians and there weren’t specialists. So you dealt with a team physician who was basically an orthopedic surgeon and he treated you for whatever problems you had. I remember they sent me to the hospital I would stick my hand in some wax paraffin and all I would do is put my hand in for about a second, take it out and then I’d end up with a big coating of wax on my hands. That was the only thing I did. I did no other physical stuff. Who knows how long it would have taken me if I would have had somebody like you working with me to strengthen my hand? The second time I got operated on when I was playing minor league baseball, I missed a couple of months during the season. Who knows if I would have been back two or three weeks later? Instead of two months, it might have been one month. But the physical care that you get now with physical therapy and doctors’ care and the medicines that they have now I think is so much more in tuned to longevity in somebody’s career and certainly if it’s not a professional athlete, somebody who is going to be physically fit and be able to go back to work faster or lead a normal life faster. It’s not only limited to professional sports, you know. People have lives to live. 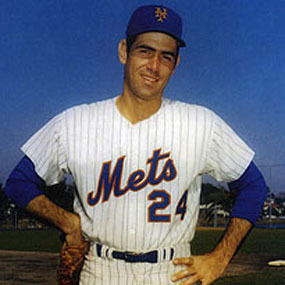 Dan: Were pitchers babied as much back then as they are today regarding pitch counts and how much rest between starts? What was it like back then? Art: I think the pitchers were babied but they still made them throw many more complete games back when I played in the big leagues. They were counting pitches, but it wasn’t so specialized that they forced pitchers to leave games if they reached a certain level. They just wanted to be on top of it. You know, it’s interesting. When I was playing they didn’t wasn’t us to lift weights, and now every locker room has a weight room. It’s so specialized—you have a dietitian, you have a physical therapist on call, you have all these specialists which I think absolutely helps the players. Pitchers back then just iced their arms down after the game. Ice afterwards and then maybe a rub down by a trainer just to stretch it out, and now it’s totally different. You’re cared for in a much more specialized way. I think the difference today is that players are much more in tune with making sure that they’re physically okay so they can have a longer career. And the teams that have invested all this money in the players are making sure that they’re getting the best care possible. You also have to understand that professional sports teams have a much higher investment in players in terms of dollars and cents that that’s why they specialize so much more in terms of treating. Also back when I played, they really only wanted you to see their own team physician and now players have their own traveling people coming with him sometimes, whether it be acupuncturists or physical therapists. Also you have to remember when we stopped playing ball we weren’t making any money so we had to do other things in the winter and that was either to work or just do something to make some extra money. I think the difference today is that players are much more in tune with making sure that they’re physically okay so they can have a longer career. And the teams that have invested all this money in the players are making sure that they’re getting the best care possible. Dan: When you hit, concentration and focus, as you know, is really such an important aspect of being able to lock in on a pitcher. How much of that is affected if you have an injury? Art: Hitting is all about concentration and focus. If you’re not zeroed in on that pitcher and you’re not thinking about trying to hit the ball hard somewhere, the pitcher’s right on top of you. In the big leagues they’re throwing 95 miles an hour or whatever it might be, and he’s not 60 feet, 6 inches from you. After he let’s go of the ball, he’s less than that. So you have to focus. And whenever you have an injury or are even thinking about anything else when you’re up trying to hit, it’s almost impossible. It’s the kind of thing where you have to feel mentally alert and focused. I always tell young kids that I work with that concentration, balance and a comfortable stance are three of the most important things in hitting—and concentration is probably right at the top. If you’re not focused on watching that ball come out of the pitcher’s hand, you’ve got basically no chance. Dan: Is there any other advice you would give to young people today, or kids, or even athletes that are trying to make it in today’s game? Art: If you’ve got any aspirations of going to higher levels, whether that be from Little League to high school to American Legion to professional baseball – and I’ll use baseball as an example because I’ve done it and I know it – I think it starts with the basic premise that you have to work at it from a physical standpoint in terms of developing your skills and concentration when you play. Understand that baseball is a game of percentages and you’re still going to fail more than you succeed. You’re still going to be a star, so to speak, if you get three hits in 10 at-bats. Nobody ever said to me, well you should start watching what you eat because that’s going to have a direct effect on you as you grow older and later in life. You need to be working out three or four or five days a week developing your upper body and your lower body, just working on things that are going to make you stronger. But there are other things that have to come into consideration. It’s taking care of yourself, its dieting, its exercise—it’s all the things that nobody ever talked to me about when I was a kid. We went out and played baseball and that was it. Nobody ever said to me, well you should start watching what you eat because that’s going to have a direct effect on you as you grow older and later in life. You need to be working out three or four or five days a week developing your upper body and your lower body, just working on things that are going to make you stronger. But if you’ve taken care of yourself and you’ve done the things that are going to make you the best that you can be physically, any injuries will heal faster and they’ll be able to get you back on the field faster than ever before. At the same time, with physical therapists like yourself helping that process along with the techniques that you know, with the modern machinery, the modern techniques that help somebody come through an operation or what have you. That combination of your help—a physical therapist’s help—and their ability to have taken care of themselves up to that point physically is certainly going to make the process that much faster. Dan: Thank you so much. It’s really been great having you. Art: It’s always a pleasure. Thanks for taking care of me with my injuries.